To celebrate the launch of new game show Ben 10: Ultimate Challenge on Cartoon Network, I’m giving away a Ben 10 hamper that, if I were a boy, would adore. 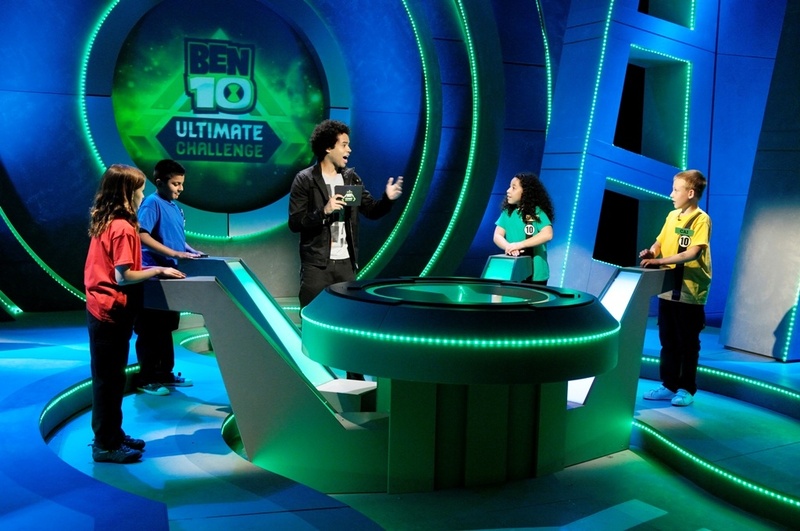 The hype around Ben 10: Ultimate Challenge, is that not is it a cool show, but it’s the first to be produced independently of the franchise, but is still inspired by the three animation series – Ben 10, Ben 10: Alien Force, and Ben 10: Ultimate Alien. The game-show format will see kids tasked with Ben 10 general knowledge rounds, as well as physical and mental agility tests and an assault course. The show is on Fridays at 5.55pm, with repeats on Saturday at 11.35am and Wednesday at 6am. To enter the draw, comment below and you’ll be entered. Simple! Good luck peeps. Winners will be announced on Friday. What a fabulous Christmas gift! Cayleb LOVES Ben 10 and would LOVE this hamper. Hope I can win it for him. Seriously this would be THE best Christmas surprise for my 9 year old boy. He is the biggest Ben 10 fan and would be in Ben 10 heaven if I showed him this hamper. I’m crossing all digits that I win this one!!! My boys will absolutely adore this! Ah perfect for the boys…Ben 10 is a the super hero of their time. I know a little boy who would love this!!! Mind you, so would my husband…..
My kid would freak out! And I think he deserves it because he had to have a scope camera shoved in “you-know-where” ( to check bladder function) and he still thinks he only swallowed it, and he didnt cry when the tried to put 3 cathaters in and 4 drips! My son, Matthew is a total Ben10 freak!! He will do his nut for this prize…LOL!! Aaron would love you forever and ever and ever amen! My 4 nephews would LOVE this, they are Ben 10 crazy. Oo I will get extra sticky hugs from my little nephew for this!! I’ve got 2 Ben10 aged boys right here at home. I can just imagine their delight with a prize like this. That’s if their little sister doesn’t decide to appropriate some of the items for herself. My little girl, yes, girl is a total total Ben 10 crazy! She makes me hire the DVDs over and over again and buy her Ben 10 clothes too! She would probably do cartwheels for these goodies! My crazy sweet loving 4 year tomgirl Kyla! I say tom girl as she totally loves Bratz, Barbie and Tinkerbell too!